This is one of my smaller Illusion Knits, based on a vintage medical graphic. 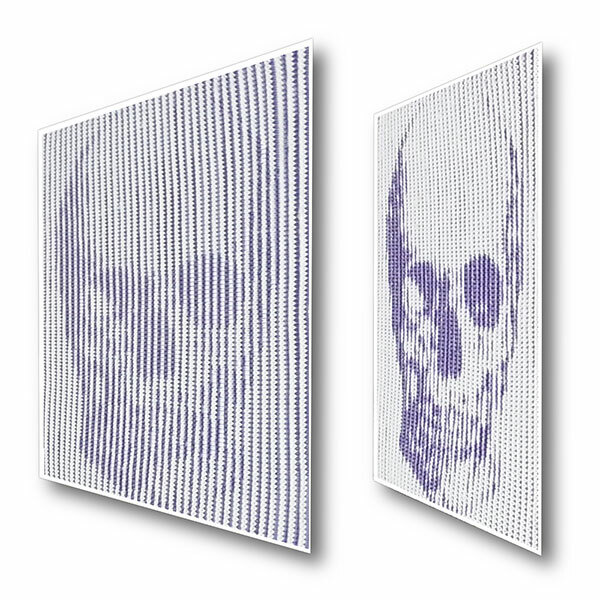 Skulls are an ever popular image, and this one makes quite a statement. This piece would look great in a number of color combinations. What do you think? Be sure to scroll all the way down to see Skull in motion.